Well, I created this theme to know how was your story inside the game, how you met this wonderful game. Without more anything to say let's start. Game for many years, I started playing when there was still Alaplaya, I knew this game through advertising, I found it very interesting so I started looking for videos on YouTube and since the trailer and some Gameplay I fell in love with this game. I met incredible people in the game that until now we have contact through social networks, since I started to play I was excited was so much so that I spent hours and hours playing did not tire me. 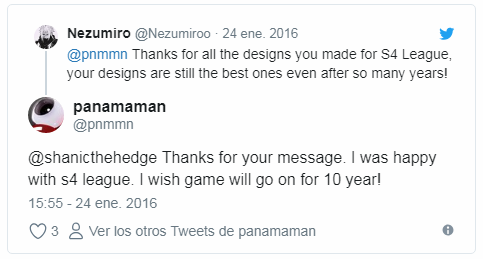 With the passage of time I was integrating the community, knowing some other flaws of the game, to be very social around here, well I have always liked the forums, because I like to share new things. And so it was happening until today and I hope to continue until the game closes, I must emphasize that I was also a player of the S4 Latino but unfortunately it was closed. Now I want to know their stories, I want to read them. I was playing another game at that time and then I got a laptop. After a while my PC died so I had only the laptop left to play on. However the game that i was playing at that time ran pretty poorly on the laptop so I had to find something else to play that is not very resource demanding. First I tried to play GunZ but the game didn't start cuz I was probably using a very old installer or something so I started searching websites for games and then I saw S4 and tried it out. I liked it but I was still determined to play GunZ and when I finally did it, S4 seemed so much better compared to it that I went back to s4 right away. By searching something to play with my friends, back when I didn't had a computer, and had to pay on a cybercafe. On times when DoTA was the dominant MoBa at the time, and had a lot of friends to play LAN type of games, you know, Counter Strike 1.4, Half-life, Ricochet, Team fortress, Gunbound, I was the only one playing GunZ when nobody was around. So as you can see it, our entire gaming times based on beating the hell out of each other in huge death-match / team oriented games, we were heavily competitive. We started to move onto other things, so S4League popped up in an add while I was searching for something else to play. So we tried it, and we loved it. Sadly it was on a time when Cybercafes were dying out here, and everyone had to part their own ways. Once I acquired my first computer, it was one of the many games I kept installed and played frequently. There was a huge hiatus when the IP ban struck us, so I just gave up on it. As told, we don't talk about the LA Server... let it fade into obscurity. So yeah, hearing that I can play it again, like old Alaplaya times, made me smile. Going back 9 or 10 years ago, while I was skipping chemistry classes with one of my friends, I went to his home and he did started to play S4...I couldn't understand anything he was doing, everything seemd to too fast for my eye to catch. I said no thanks..until few days later when I decided to give it a try. Man, it was best feeling ever! I stopped playing like ~3 years ago as I got enganged lol, got a job, got a kid...so there was less and less time for me to play. One of the many factors that got me quitting was also the direction the game was heading to. Since mid of 2018 I started surfing the forums just for the nostalgy feeling and of course with the hope that the game will get better in time so I can give it a try or at least just seeing it won't die also makes me feel good about it. I started in late 2011 or early 2012, at school I had a group of friends with whom I played online games, one of them told us about s4 league and 3 of the group decided to play it, I was attracted to the idea of an anime design for characters. We started playing OS with my friends, but after a month my friends stopped playing. I was going to leave because I did not want to play alone, but I saw a video of Lola-Melancholy doing air hug and I fell in love with that style, so I started using guns. The truth has not been easy, because I am Latin, so I lost everything 2 times (when we were kicked out of the s4 EU and later when the s4 Latino closed). But in spite of everything, I can't stop playing. wasn't really good at the game, and i still believe i'm not really good. Well, in my first unlimited td and dm games i over used my Plasma Sword (righ click only) so i was an easy target for revolver players. The post was edited 1 time, last by Michi ( Jan 28th 2019 ). The post was edited 1 time, last by Platinxd ( Jan 29th 2019 ). I found out about S4 by browsing a Anime site and I saw a trailer of it and it caught my eye. Later signed up for the Beta and been in love with it ever since. Met and made some awesome friends, some of which been friends since 2008. Hell I even started making videos of matches with them, (wish I did it earlier though XD).